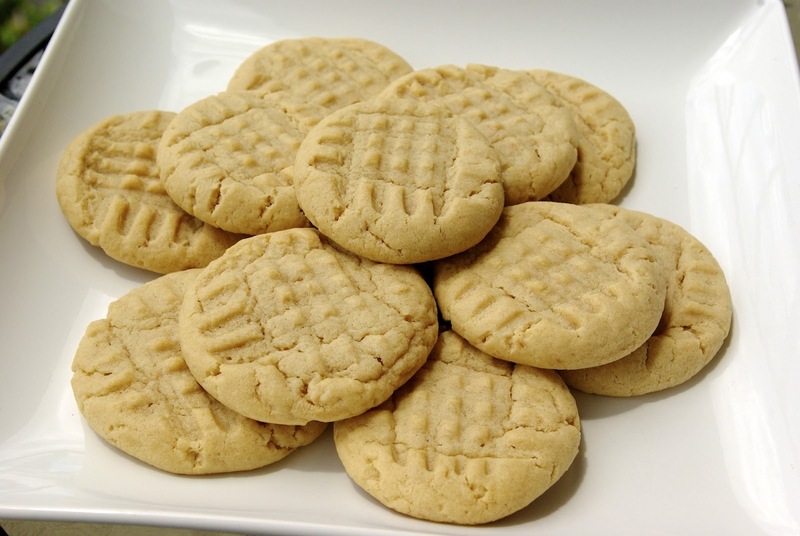 Ah, peanut butter cookies, how delicious they are. 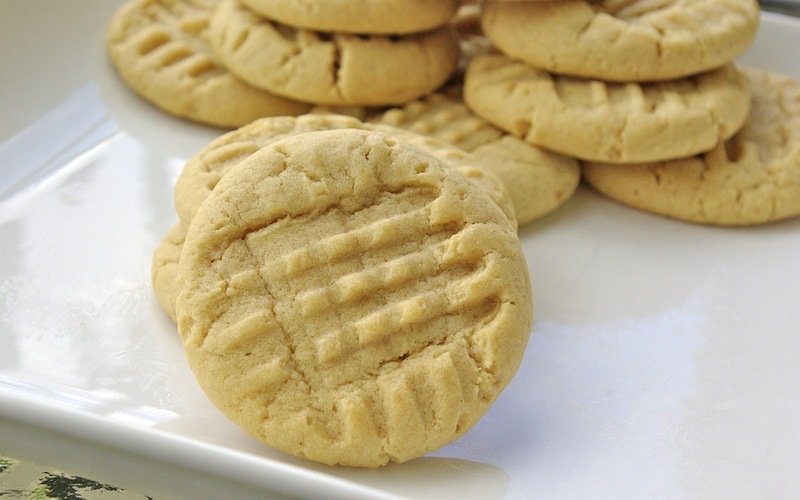 Soft and chewy with that wonderful peanut butter flavor, these classic cookies never let me down. 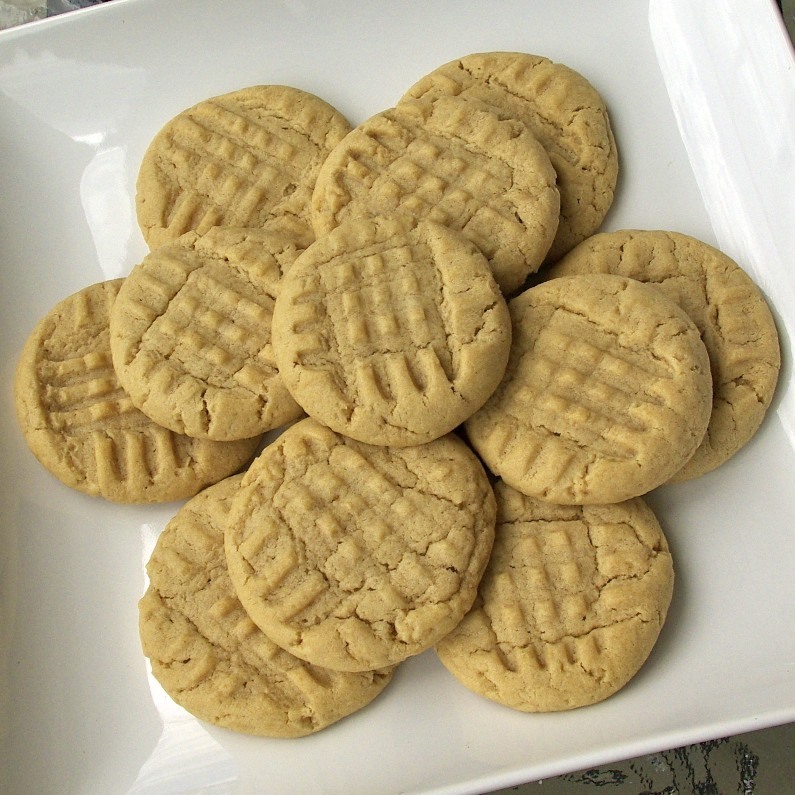 A perfect lunch box dessert, afternoon pick me up, or bed time snack, these simple little cookies are sure to please any peanut butter lover in your life. Enjoy! Do you like a little crunch in your cookies? Try adding 1/2-1 cup chopped peanuts to your batter OR substitute crunchy peanut butter. The bake time mentioned below provides a chewy cookie, if you prefer a crispy cookie, add a few more minutes. For an extra sparkle on your cookies, try rolling the dough balls in granulated sugar before flattening and baking. In a mixing bowl, thoroughly cream together butter, peanut butter, sugars, egg and vanilla. In a separate bowl, sift together flour, baking powder, baking soda, and salt. Mix dry ingredients into batter until just combined. Put batter in refrigerator for 1/2-1 hour. Don’t skip this step, or your cookies will spread very flat. Roll dough into 1 1/2 inch balls and place on parchment lined baking sheets about 3 inches apart. Flatten each ball lightly with a fork, making a criss-cross pattern. If your fork is sticking to the cookies, dip it lightly in flour, first. Bake cookies in a preheated 350 degrees oven for about 10-11 minutes or until cookies *just* begin to brown (oven temps vary). Do not over-bake. So what's the deal with brown sugar? Sometimes I use it, but before I could find it in France, I never did and I found my cookies were actually better. Now I just use it when I feel like it, but I don't think it's required. Any thoughts as to why you use it?